Hi, this is my educational research site dedicated mainly to traditional music. Currently I'm working on US and Canadian versions of the Child Ballads (click Bluegrass Lyrics>Ballads> 305 Child Ballads). The Child Ballad section (the 305 Child ballads) is way over 10,000 pages! Also check out my books and articles (Click Roots> Roots; Old-time Folk & Bluegrass and related Books- it's near the bottom of left hand column). Anyone who wants to help do research on this site; edit; or just comment please- contact me: Richiematt7@gmail.com I do this research for you! If you want to help me please do; you can make a donation or a suggestion, share some lyrics. I want to thank you for using and sharing this research - this site is dedicated to you and all who have shared their songs through the ages. Carry on! 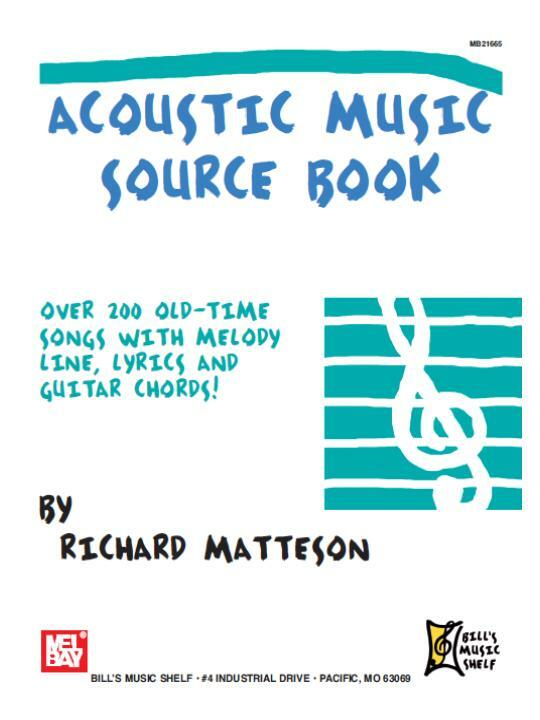 Above is Richard Matteson's new book, Acoustic Music Source Book, published in October 2010. 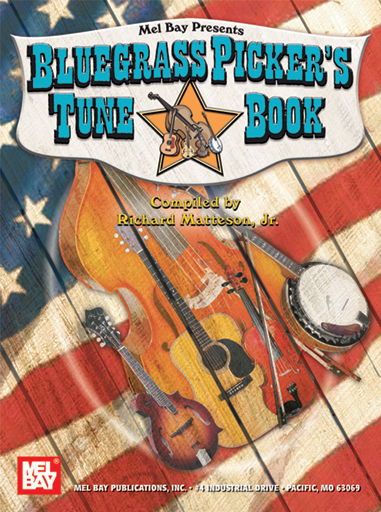 Available now from Mel Bay Publications 1-800-863-5229 or Amazon.com The book has the melody, history (origin), lyrics and chords of over 200 bluegrass and old-time songs. 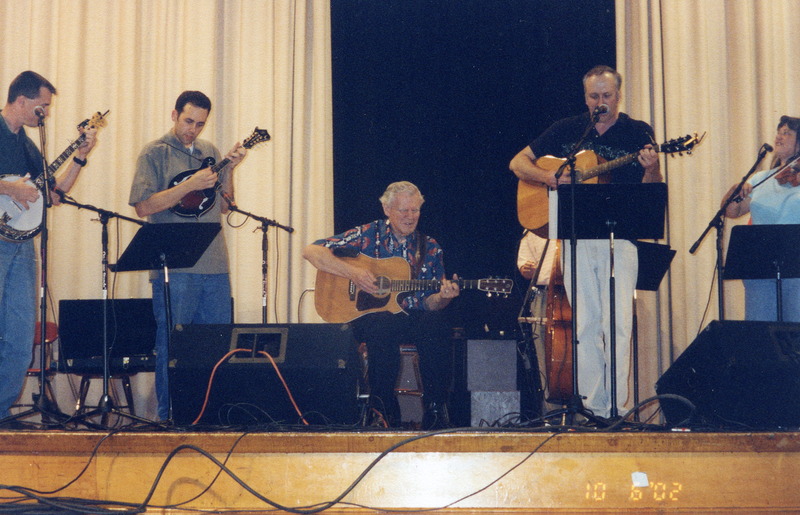 [Ozark Folk Song Collection- online; Reel 309 Item 5. Collected by Mary C. Parler. cf. Town of Vicksburg- Nancy Philley, 1959 Parler N (relative). The Vicksburg Girl- sung by Mrs. G. C. Philley Eudora, Ark. 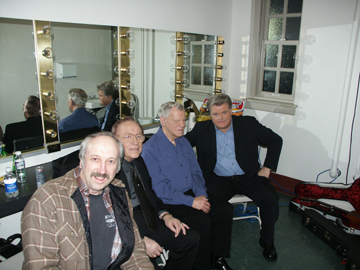 Recorded in Fayetteville, Ark. July 25, 1959. We ran a flour mill. That I loved her in disguise. Of course, she said, "All right." And knocked the fair maiden down. For I'm unprepared to die." Was in a bloody flow. And there I plunged her in. And find a better side. She woke up in a fright. To bloody your hands and clothes? Was, bleeding at the nose. To light myself to bed. And in my eyes did shine. That led her sister out. No one to go my bail. Between the earth and sky. [No informant known. From: "We wunt be druv" by Tony Wales, 1976, Galliard (1976 edition)p. 54.